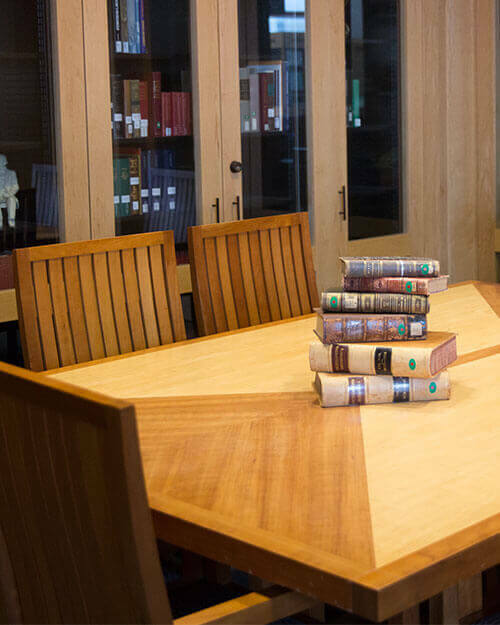 The UCSF Archives and Special Collections reading room is free and open to the public. Due to the unique and often fragile nature of our collections, these materials are available for access under supervised use and by appointment only. For those that are unable to visit, we also offer remote reference, reproduction, and research services. Available for appointments each week, Mon.-Wed., from 9am-4pm. Archives & Special Collections is on the 5th floor, to the right when you walk out of the elevators. We do allow the use of personal cameras in the reading to make low resolution photographs for research use only. Flash photography, high resolution photography, and noise that might be disruptive to other researchers is prohibited. Further information about our reproduction polices. If you are unable to visit our reading room, research services are available at an hourly rate. For all e-mail reference questions, please use the Ask an Archivist form.